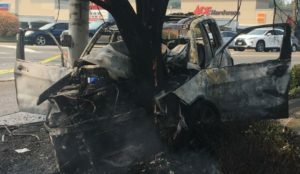 EVERETT, Wash. — An 83-year-old woman survived a fiery crash into a tree in Everett after being pulled from her flaming car by a witness, fire officials said. If she hadn’t have already crashed, why pull her from her car? Interestingly, the link to the web page has the wording correct. I was hoping Fred would lead the group to our place to clean up the brush. However, being in New Jersey means that didn’t happen. Down the road ½ mile there are goats in a field. I’ll have to investigate. The State of Washington has many unfamiliar names, for example Skamokawa, or Washtucna. We’ve gotten used to most of them. To find others is not hard. Consider Punnichy in the south-center of Saskatchewan, that is in the area of Kawacatoose First Nation. The story continues in Salthaven. 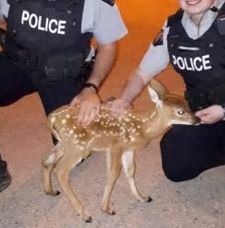 The Royal Canadian Mounted Police found the place anyhow. Washington had an in-flow of air from off the coast. This pushed much of the smoky air (fires) to the east. Seattle has been smoky but today mostly cleared as did the air up to the crest of the Cascades. Our area (less smoke than Seattle) was partly cleared but is expected to get more smoke from the fires in WA and up in B.C. The good news is that air quality is better than it was, and beginning early next week temperatures are expected to drop. Air quality will improve on Wednesday.